This course is ideal for Professional Organisers’, business owners, who are ready to boost their business but are not sure how to go about it in a systematic way. You might be thinking to yourself, “Why should I waste my time writing a business growth plan? I know many Professional Organisers do!” Knowing intellectually what Professional Organising is all about and pinpointing exactly where you want your business to go are two entirely different propositions. Suddenly, it seems easier to move forward on projects in your business. Resources appear out of nowhere. You begin meeting people to help you accomplish your goals. Sound like magic? It isn’t. But having a clear idea of what you want to accomplish makes you more aware when you encounter someone or something that can help you get there. Some people see creating a business growth plan as an almost insurmountable feat – they may work on their plan for years, never reaching the end. This is absurd! Putting business growth plan together involves nothing more than asking yourself a series questions on how you will structure your company. It’s okay if you leave some things out the first time through. If you intend to take out a loan or use your business plan to raise capital, you will need to do some additional research in developing financial projections and creating a document to be submitted to the lender. But for now, we just want a clear picture of where you are headed for the next year or so. Who is this person and why should I listen to her? Coached dozens of clients to achieve their goals through creative problem solving, accountability, and overcoming procrastination or stagnation. Enabled individuals, professionals, and families to enjoy stress-free home and office spaces by providing an efficient, effective approach to decluttering, organising and change of mindset. Received professional accreditation through Institute of Professional Organizers (IOPO). Only three in Australasia have met the criteria for this accreditation, so far. Started and managed own business 10+ years. So as you can see, Karen Perkins IS uniquely qualified to help you understand everything you need to know about growing your business. Module 1: Reconnect With The “Why” Of Your Business. You’ll remember the reasons why you are in business and your aims for business growth, so that you can reconnect with your motivations. Module 2: Revisit Your Ideal Customer. If you want to grow your business, you must be absolutely sure that the customer you’ve been selling to is the same one you want to sell to in the future. In Module 2, you’ll reaffirm your ideal target market and specify your ideal customer profile, so that you know exactly who to market to. Module 3: Clarify Your Current Profit Picture. Expanding a business might involve some financial investment. In Module 3, you’ll dig deeper and get a snapshot of your business’s financial situation right now, so that you understand the resources available moving forward. Module 4: Reveal Your Strengths: We don’t always spend enough time analyzing what works well in our businesses. In Module 4, you’ll learn how to define what you do well as a business, so that you recognize what already works. Module 5: Pin Down Your Business Weaknesses. There are always elements of our businesses that we’re not great at. In Module 5, you’ll assess the places in your business where you aren’t performing strongly, so that you can take steps to lessen or eliminate those weaknesses and with some attention, turn them into strengths. Module 6: Uncover Your Hidden Opportunities. Though it may not seem obvious, there will be areas within your business that you can leverage for growth. In Module 6, you’ll learn how to identify business opportunities to see where growth can come from, so that you can tap into any hidden potential. Module 7: Tackle the Threats to Your Business. Every business encounters threats that come from the competitive landscape in which they operate. In Module 7, you’ll learn how to flag the external conditions that could hinder business growth, so that you are aware of what you need to do to mitigate them. Module 8: Explore Your Marketing Potential.As your business grows, the future direction of the marketing strategy is crucial. In Module 8, you’ll analyze current marketing and its effectiveness, so that you know what to focus efforts on going forward. Module 9: Assess Your Team’s Development.However big or small your team is currently, now is a good time to take stock. In Module 9, you’ll review how your current team members are working individually and together, so that you can identify changes to make for greater productivity. Module 10: Reconsider Your Business Processes and Tools.Efficient processes and tools will make your work go smoothly and help with successful outsourcing too. In Module 10, you’ll examine current business processes and tools to assess if you’re delivering what you need, and to make sure you have the most up-to-date systems. 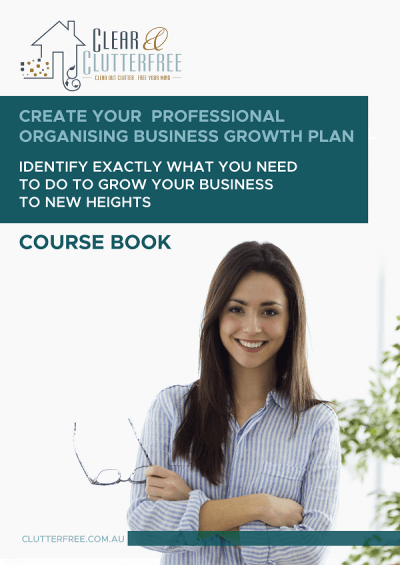 Module 11: Create Your Business Growth Plan. Now it’s time to bring everything together and create a plan for the changes you need in order to grow. In Module 11, you’ll put together a comprehensive Business Growth Plan for the next 12 months that will guide and support your success goals. Module 12: Review and Refine.In this final module, you will complete a Business Growth Plan with your key metrics and milestones. You’ll also review what you’ve learned and identifying next steps, so you can achieve the goals set for this course. Act Now and You’ll Also Receive these Bonuses to Support Your Business Growth Success! BONUS 1: Fill in the blanks formatted Financial Forecast & Cash Flow Statement. A detailed spreadsheet for you to forecast different financial scenarios as you grow. (You need this info to decide how much you’re willing and able to invest in growth). I can’t promise you’ll earn your first 6-figure year, but I can promise you that once you’ve worked through all the steps, written your growth plan and start building momentum, doors will open, opportunities will grow, and so will your confidence. Love It Or Your Money Back! . Order with confidence! 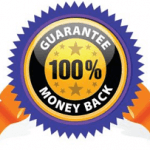 If you’re not 100% thrilled with my product, simply let me know within 30 days and I’ll cheerfully refund every penny! 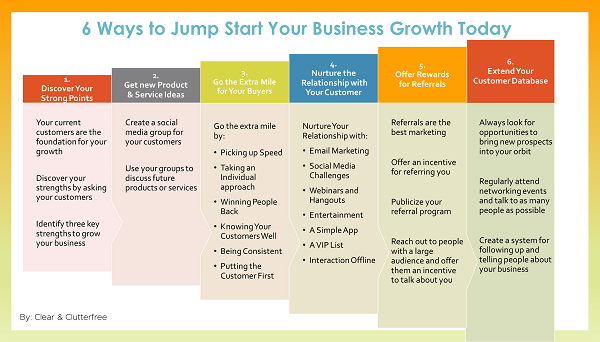 Infographic: Gives you an ‘at a glance’ visual of the process for jump starting your business growth plan today. A $150 value all by itself. Gives you a summary outline of the free report. Overview Infographic – which gives you an ‘at a glance’ visual of the process for creating your business growth plan. 68 pages of content and activity instructions for a comprehensive self-study. Comes with one complimentary coaching session. A complete set of worksheets which helps you take action on what you learn. A 29-page course overview, which includes the main takeaways, key points, and action steps from each module of the course. You can use it as a quick reference to save time, versus having to refer to the course book every time. Business Growth Plan Template – a detailed worksheet for you to bring together all the elements of your growth plan in organised stages. A detailed spreadsheet for you to forecast different financial scenarios as you grow. (You need this info to decide how much you’re willing and able to invest in growth). Take a fresh look at why you are in business so that you can reconnect with what motivates you. Reaffirm your ideal target market and specify your ideal client profile, so that you know exactly who to market to. Get a snapshot of the financial situation of your business, so that you understand the resources available to you. Define what you do well as a business, so that you recognise what already works for you. Assess the places in your business where you aren’t performing strongly, so that you can take steps to lessen or eliminate those weaknesses. Identify your business opportunities to see where growth can come from, so that you tap into any hidden potential. Flag the external conditions that could hinder your business growth, so that you are aware of what you need to do to mitigate them. Take a look at your current marketing and its effectiveness, so that you know what to focus your efforts on. Review how your current team members are working individually and together, so that you can identify changes to make for greater productivity. Examine your current business processes and tools to assess if they’re delivering what you need, and to make sure you have the most up-to-date systems. Put together a comprehensive Business Growth Plan for the next 12 months that will guide and support your success goals. Review your Business Growth Plan and identify your next steps, so that you can achieve the goals you set for this course.